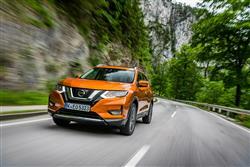 Can Nissan's X-Trail SUV make family sense? June Neary decides. No one's pretending anymore. Family-sized lifestyle SUVs never go off road. And if they ever did, it would have to be on something very easy. I know. I once tried to take a Nissan X-Trail over a dirt trail and ended up scraping the exhaust. As I probably would have done with most of its Honda CR-V/RAV4-style rivals. No, these are school run family estates. And they're none the worse for that. Buyers like me love the elevated driving position, the chunky looks and the feeling that if we wanted to chase buffalos across the Serengeti, then we could. 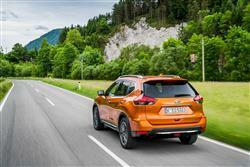 So where does all that leave Nissan's improved third generation X-Trail, a car I've been trying? Basically, it had to become more car-like if it was to meet the challenge being laid down by a host of new rivals. So Nissan has obliged. There's more equipment, a smarter interior and even some semi-autonomous driving capability. 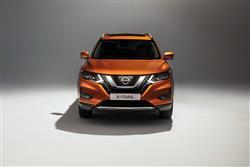 The bold setsquare lines of the X-Trail are classic SUV. The designers have steered clear of the sleeker, curvier shapes favoured by the car-like crossover breed in favour of the tall and the chunky. In place of the bluff, squared-off shape of the earlier versions, this enhanced MK3 model looks sleeker, hints of the popular Qashqai mixed with a dipping roofline, deeply sculpted flanks and a rising waistline. Move inside and the first impressions of my family and I were good. The rear doors open widely to over 80-degrees for easier access and at first glance, the cabin looks as spacious as the cold statistics promise. Passengers in the centre of the car who don't need to worry about third row folk can kick back and stretch out. 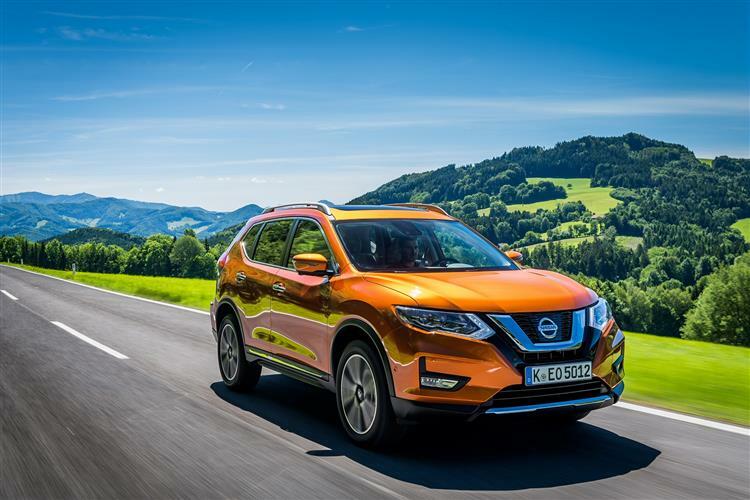 The extra 60mm of length between the wheels that this car enjoys over its Qashqai stablemate enables it to offer class-leading standards of legroom that's further aided by deeply sculpted front seat backs. And up front? Well, back at the turn of the century in the original first generation version of this car, Nissan's designers went all quirky, with centrally-mounted dials, a proudly protruding centre stack and weird seat fabrics. Since then, the brand has learnt a few lessons about buyers in this segment: they may like to make a little bit of a statement when it comes to exterior styling, but when it comes to the interior, conservative quality tends to be the preferred approach. So that's exactly what's served up in this X-Trial, with most of the design and functionality borrowed from its Qashqai stablemate. The range as a whole provides a choice of two or four-wheel drive configurations, but doesn't offer many options beneath the bonnet. Yes, you can talk to your dealer about a 163PS 1.6-litre DIG-T turbocharged petrol engine, but hardly any buyers choose it. 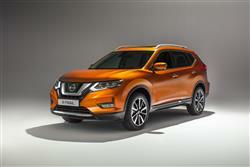 The core engine is Nissan's powerful but frugal 1.6-litre dCi 130 diesel, optionally mated to an XTronic CVT gearbox. This unit delivers plenty of pulling power (320Nm of torque) and is decently refined, so should be at home on or off the beaten track. Alternatively, buyers can opt for a pokier 177PS 2.0-litre dCi unit. 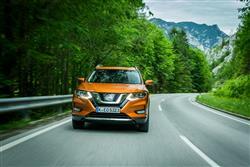 X-Trail pricing isn't quite as inexpensive as it used to be but this Nissan remains one of the more affordable choices you can make if you're looking at a mid-sized SUV in this segment with space for up to seven people. Prices sit in the £23,500 to £40,000 bracket common to this class of car - which represents a premium of around £3,000 over what you'd pay for a slightly smaller five-seat Nissan Qashqai SUV with the same powerplant, the same spec and virtually all the same engineering. In contrast to some its rivals, the X-Trail doesn't include seven seats as standard; you have to pay an extra £1,000 for those with mainstream models - or £660 more if you go for this top leather-lined 'Tekna' trim level that around half of all X-Trail buyers choose. As usual with Nissan, at the bottom of the range there's an entry-level 'Visia' spec, which offers a choice of either an entry-level 1.6-litre DIG-T petrol unit or, for a premium of just under £1,500, a 1.6-litre dCi 130 diesel. Most buyers ignore this poverty option though because it doesn't include the choice of either four wheel drive or Xtronic automatic transmission, both these features being limited to diesel models further up the range. Provided you can stretch to 'Acenta' trim, plusher 'N-Connecta' spec or a top 'Tekna' model like this one, you get the full range of options across an engine range widened to include a 177PS 2.0-litre dCi diesel for those prepared to stomach a £3,150 increase over the cost of the 1.6-litre dCi unit. Four-wheel drive adds £1,900 to the cost of a front-driven model. And Xtronic auto transmission is offered at a £1,450 premium over a manual variant. 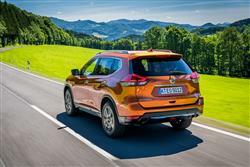 Plus, for the first time in the X-Trail line-up, this facelifted third generation allows buyers to mate four wheel drive and the Xtronic gearbox together, provided they're prepared to stump up for the larger 2.0-litre dCi engine.